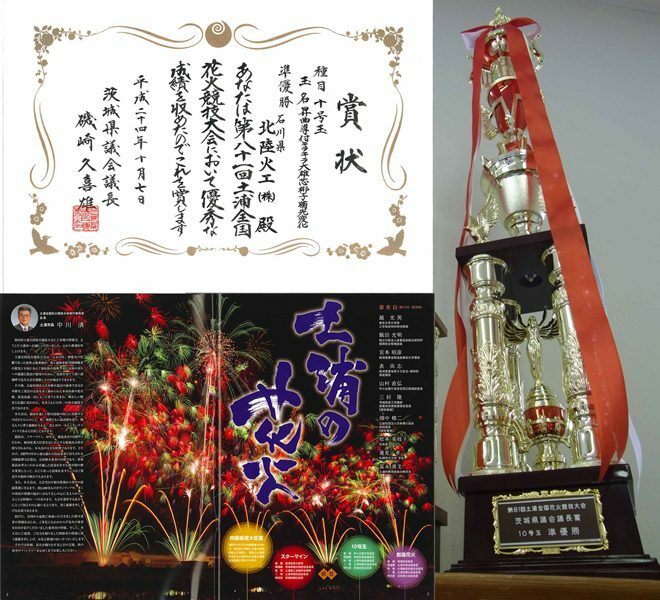 We proudly announce that our fireworks won the second prize at Tsuchiura Fireworks Competition!! Among the 43 entries in the 12-inchi shell category, our 12-inchi shell "Golden Palm Tree to flying bees with glittering core" got the biggest applause from the audience. We all, at HOKURIKUKAKO, are very honored to receive this prize, and will try our best to bring joy to our customers, always. Tsuchiura All Japan Fireworks Competition is known as one of the TOP 3 fireworks displays (Omagari, Nagaoka, and Tsuchiura) in Japan, and all the fireworks are artistically displayed by the Japan' s best pyrotechicians. The history of this fireworks competition is started in 1924, and now there are three categories(Starmine, 12-inchi shells, Creative fireworks). All of the participating pyrotechinicians have high techniques & excellent skills in Japan, so this competition can be recognized as to determine who is the #1 pyrotechnician in Japan. 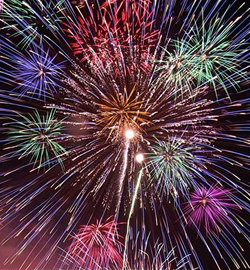 The winner of this competition, who is determined as the best pyrotechnician in Japan, will be awarded the grand prise from the Prime Minister of Japan, because of his(her) best performance and contribution to the improvement of fireworks technology. 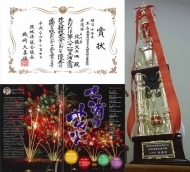 This prize from the P.M. is awarded only in Omagari and this Tsuchiura fireworks competition, so every pyrotechnicians is aiming at this prize.